Richard Soan Roofing Services’ recent charity race day raised an impressive £34,710 for Teenage Cancer Trust. 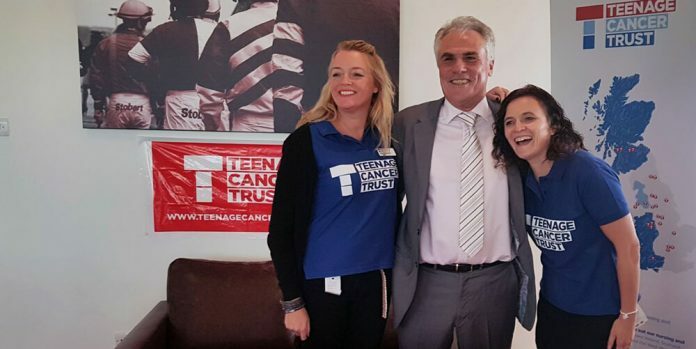 A spokesman for the Teenage Cancer Trust said, “We want to say an enormous thank you to Richard and to everyone who attended the Race Day and supported Teenage Cancer Trust so generously. “Every year in Brighton an estimated 35 young people are diagnosed with cancer. The fantastic total Richard has raised will help us to make sure no young person faces cancer alone. Teenage Cancer Trust has recently appointed a Clinical Nurse Specialist at the Royal Alexandra Children’s Hospital to provide a locally based service of specialised nursing and emotional support. Our nurse will help more young people in and around Brighton to have the choice of receiving support and care closer to home at the point of diagnosis, during and after treatment.